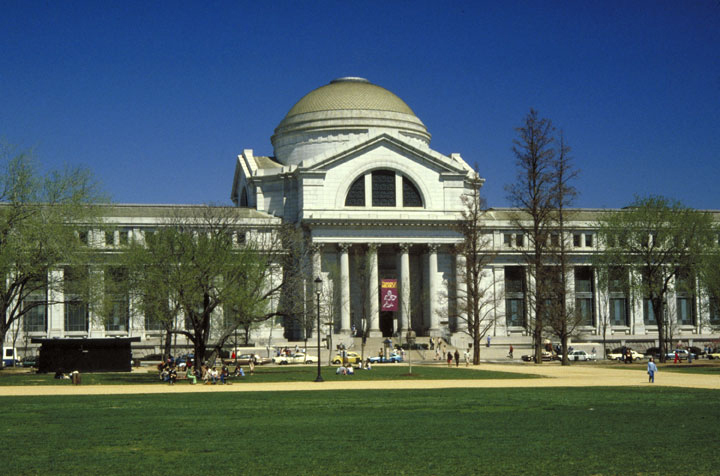 The Smithsonian’s Stars lectures are suitable for ages 13 and up for those who are interested on the wonders of the universe, our nearest start or maybe even moon rock and volcanoes. All the lectures are taken place in Albert Einstein Planetarium Museum in Washington, DC and even better admission is free. But, tickets are required. When we think of a day on Earth we measure it in a period of 24 hours, actually it takes 23 hours and 56 minutes and 4 seconds to rotate on it’s axis. So, if we measure a day on each planet compared to Earth it kind of makes it easier. Living on the International space station has its challenges, with this tour you get answers to a lot of questions like where the astronauts sleep, how to use the bathroom and how do you actually live in space like you do at home, well Suni explains everything in this great video. Things we do on Earth like brushing your teeth and washing your face are easy but in space it has it challenges. Suni explains how to use the bathroom in space but you can watch the video to see how the astronauts use this. The fridge area is also interesting and they have food from the US, Japan and Russia. Mercury is the planet closest to the Sun and on Mercury the length of a day lasts 58 days, 15 hours on Earth. It takes 88 days for the planets to orbit the Sun so a year is quit short compared to 365 days on Earth. Another really strange thing, Mercury’s orbit has the highest eccentricity of all the Solar System planets. It gets to a point in its orbit when the speed of its orbital velocity is the same as its angular rotational velocity. Which, make the Sun appear to go backwards. But, this then corrects itself and resumes its normal direction. Planet Mercury can be seen without a telescope and has no moon. I’m sure the crew of the International Space Station had a great view of the Earth as people around the world celebrated the New Year. Commander Kevin Ford and Flight Engineers Chris Hadfield and Tom Marshburn sent this video greeting for their best wishes for a happy 2013. It only takes an hour and a half for the space station to travel around the Earth, that’s 16 times a day and they get to see 16 sunsets and 16 sunrises. How amazing is this Bed !! 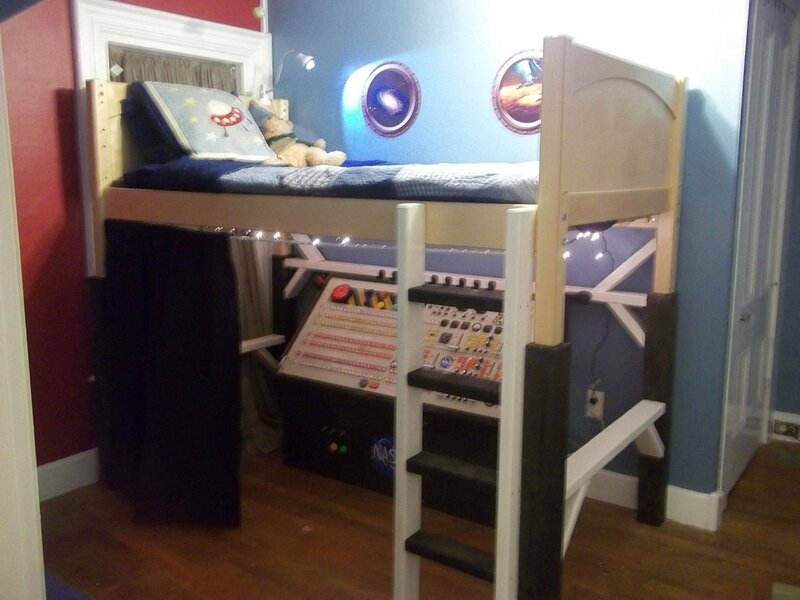 So it turns out that this kids dad made his dream bed (do you like how I did that!) using donated electronic parts that I’m sure people where only to happy to get out of their homes. Getting your hands on a control board from a TV station also helps as this is where the main part comes from. You can see lots more pictures here of the project coming together but I must say it’s an amazing job and looks really nice. 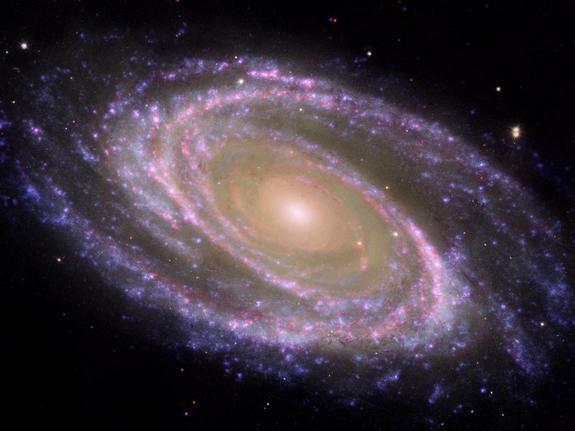 Here’s an amazing picture of a spiral galaxy called Messier 81 or sometimes called M81 for short. The image was taken from NASA’s Spitzer and Hubble space telescopes and NASA’s Galaxy Evolution Explorer. It’s in the Ursa Major constellation, which is about 12 million light-tears from Earth. You can actually see this galaxy from Earth with a telescope but this images really shows what it’s like. 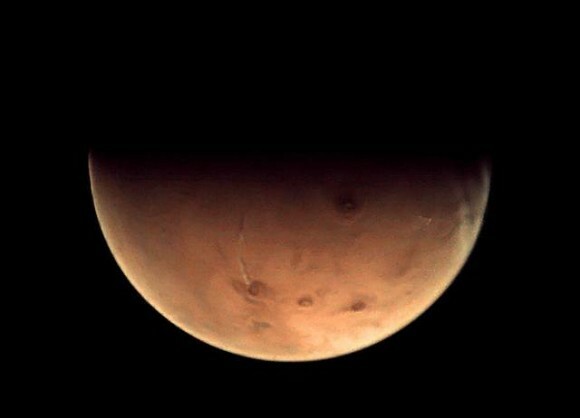 This really nice photo of Mars from 6,000 miles away was taken by the European Space Agency’s Mars Express probe. 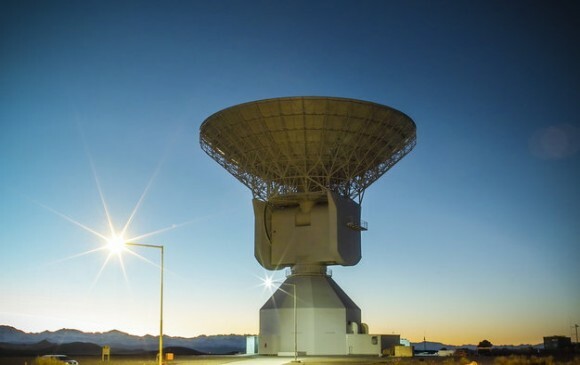 With the help from their space tracking station in Malargüe in Argentina the image was received with a 610-tonne, 35 m-diameter dish antenna. The station will be used to track ongoing missions to Venus and Mars, it’s also intended to be used for radio science experiments, like trying to identify the different types of matter transmissions pass through. Chris Hadfield who comes from British Columbia in Canada is singing his way around the Earth from the International Space Station. He recorded the song on Christmas Day which is written by his brother Dave. It’s a really nice song just listen to the words, if you listen you can even hear the fans on the space station in the background. Not many people get to sing and record a song a zero gravity. I just came across this video of the moon passing in front of the planet Jupiter. If you’ve not seen this before it’s called an occultation which mean’s one object is hidden by another, you can read more about it here. This video was captured by Rafael Defavari who live in Brazil, the video was taken on December 25th.